In the past few years Kettlebell training has taken the fitness industry by storm, and for good reason. This one simple movement, with just one piece of exercise equipment brings more results and benefits than you can imagine. Plus you can get an incredible kettlebell workout done in just a few minutes and still see great results! In a recent study done by the American Council of Exercise, kettlebell swings showed to burn 20.2 calories per minute. Yes, you read that correctly, 20.2 per minute! In comparison, a spin class will burn you 9.8 calories per minute. So kettlebell swings will burn double the amount of calories and fat, plus you can get your workout done in half the time! ON SALE TODAY! CLICK HERE! Not only will you get an incredible cardio workout doing kettlebell training, but you will also build strength throughout the entire body. You use nearly every muscle in your body while doing kettlebell swings so you are really boosting your functional and overall strength. Kettlebell workouts will allow you to burn fat for hours after your workout is over. 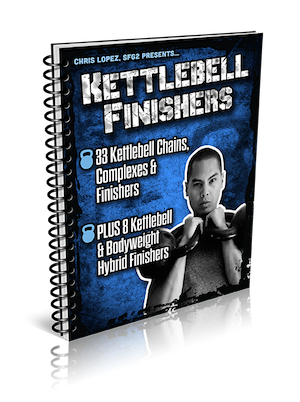 As was stated, you can get an incredible workout in just minutes doing kettlebell swings. It doesn’t take long to see results and get the benefits when doing kettlebell swings. You can say goodbye to workouts that last for hours! No need to worry about getting “bulky” when doing kettlebell workouts. Instead you will build a ripped lean frame that looks more like Leon Rosborough than Arnold Swarchenegger. The kettlebell movements are very easy to learn and you can start doing them right away. After 5-10 swings you will have it down! Young, old, overweight, or in great shape: Everyone can and should be doing kettlebell swings and will see amazing benefits! Although very challenging, kettlebell swings are not demanding on your body and joints. Sure you may get sore but they are not nearly a tough on your joints as typical cardio workouts. You need one piece of equipment, and it can be done in the comfort of your own home. Can’t beat that! Being that kettlebells are very portable, you can choose to do them anywhere at anytime. Change things up and get a workout done in the park or on the beach. No need to go to the gym to get in a results driven workout when you have a kettlebell by your side. There is so much that can be done with kettlebells. The combination of movements and different exercises is endless so get creative! No more doing mindless exercises like running on a treadmill or riding the elliptical. Kettlebell training forces you to focus on each rep which is how exercising should be. A quick 5-10 minute kettlebell workout can go a long way when going hard. Instead of worrying about what piece of exercise equipment you will be needing next, all you need to worry about is one single piece of equipment for your entire workout. Most kettlebell exercises involve using many of your muscles and joints at the same time. These movements will help enhance coordination. All kettlebell exercises involve using your core. Each movement will help better stabilize and strengthen your core muscles. Plus they will help make your abs really “pop”! Whether this means better posture, picking up boxes easier, or simply having more energy; kettlebell swings will help with everyday functional strength and movements. 18. Its been around for a long time and it still works! 19. 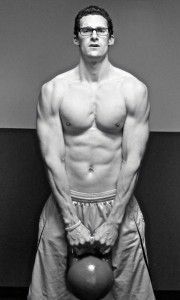 Tim Ferriss loves them! If you want to see results, and results fast, kettlebell swings are a great exercise to turn too. They deliver far too many benefits for you to pass up. You can very easily add them to your current exercise or workout routine or do them as your whole workout. This list of 20 benefits above is a short list when it comes to the benefits you will see from kettlebell training. If there was one piece of exercise equipment I recommend investing in it would be a kettlebell. You can do them anywhere at anytime, and will burn tons of fat, build lean muscle, and get into incredible shape! What are your thoughts on kettlebells? Leave you comments below! BodyFit Workouts: Tons of FREE workouts to choose from that are designed to get you incredibly fit! Superhero Sprints: From zero to HERO in 6-weeks. Daily Shred Diet: Lose up to 22 pounds of straight fat in 30-days! How To Get Fit Fast: A book that I published on Amazon that has received some great feedback. For just $0.99 this is perfect for anyone. Get Ripped 24/7 Blueprint: Free report on how to get ripped and start getting serious about your health. Six-Pack Abs Series: A series that takes you step-by-step on how to get six-pack abs. P.P.S. If you liked this post, could you please “Like”, “Tweet”, and +1 it!